Transfer case leaking - seal replacement? Please check out the attached pic. 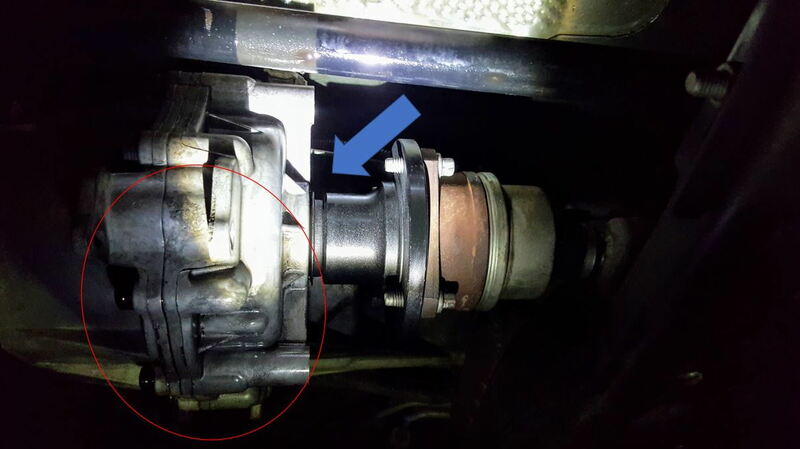 I just noticed that the bottom of my transfer case is leaking (or maybe more like seeping) since its not dripping on the ground yet (red circled area). 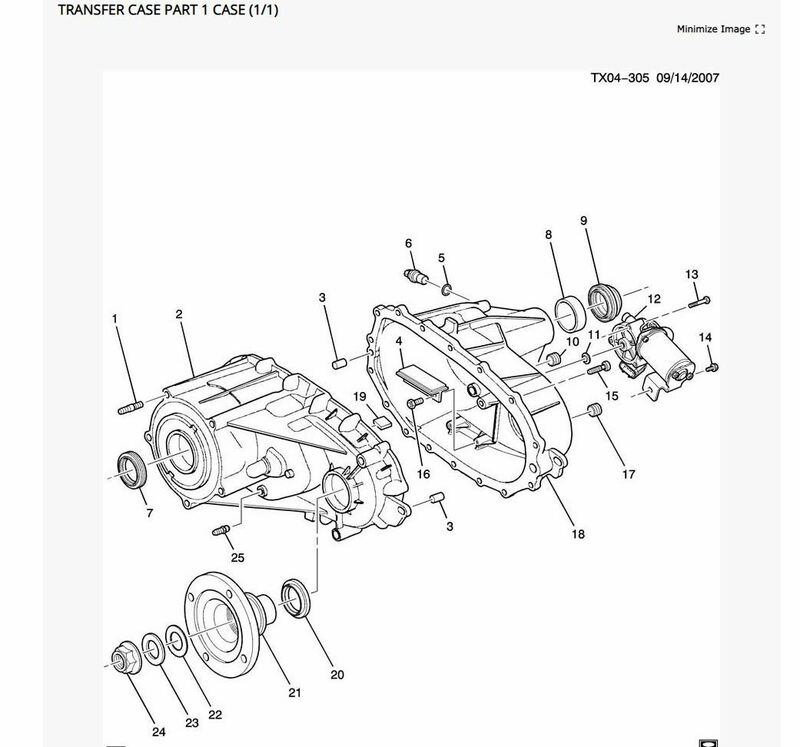 As far as I can tell, it appears to be coming from the point where the drive shaft connects to the transfer case (blue arrow). Is this a relatively easy fix? Is it just a matter of removing the drive shaft and replacing the seal in the transfer case? Also, if you have the part number for the seal it would be greatly appreciated. Thanks! Btw, this is for a 2006 H3 with manual transmission. Give it a good cleaning with hot soapy water and look to see if you can see where it is coming from after driving it when cleaned for inspection. Thanks Doc... cleaned it and checked again this morning. It does seem to be coming from where the drive shaft connects to the transfer case. How do I fix? Do you know which seal is bad? Might want to replace them both if possible. 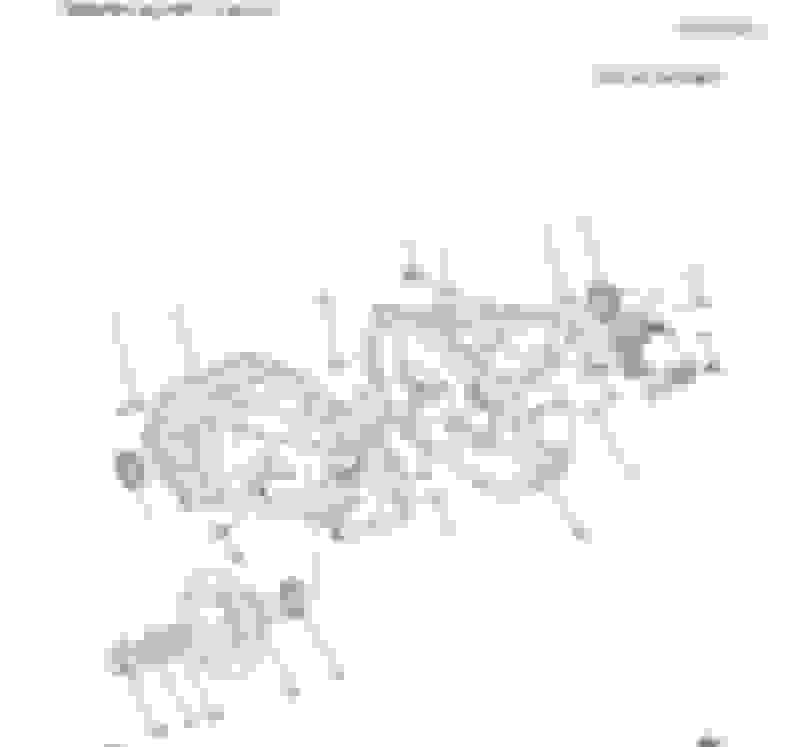 For: N1 AWD 2 SPD TRANSFER CASE(NR4),2-SPD AWD TRANSFER CASE(NR6) (2006-2010) (2006 - 2010). in this diagram are the seals and the #s.
Thanks... I think its #20 on the diagram. Will place order today. UPDATE: Replaced rubber seal (#20 on diagram above). Cost me ~$45 at the dealer (probably cost about $2 to make btw). Anyway, the good news is that the leak is gone! Been driving for several days now and zero leakage or seeping. Whole job took about an hour. Excellent news and thanks for reporting back. Transfer case rear output seal ????? Quick Reply: Transfer case leaking - seal replacement?